Boosting the nutritional value of your meal is easily done by adding concentrated foods, and can often enhance the flavor. This is a guide about adding extra nutrition to your food. I am always trying to get more veggies in our meals. I recently bought a cookbook featured on Oprah that requires a lot of time to puree your own veggies. 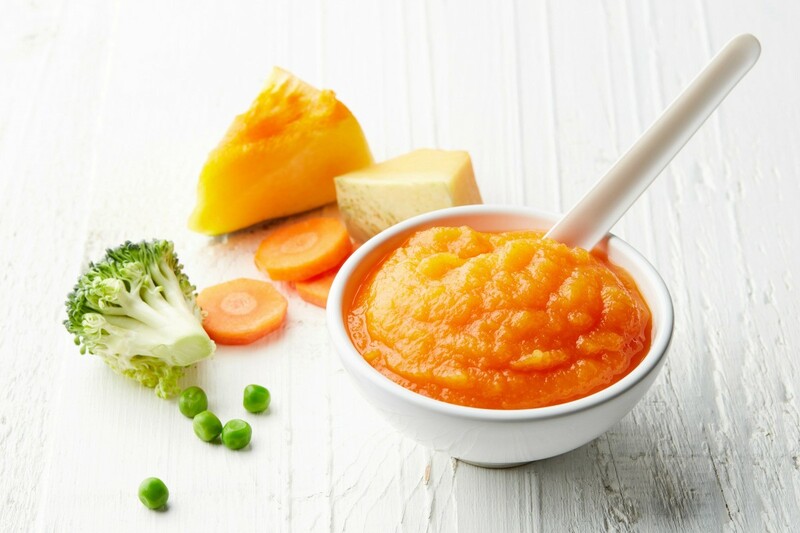 I do not want to spend that much time steaming and pureeing veggies and fruits, so I buy the small bottles of baby food when it is on sale and add it to different dishes. Tonight we are having homemade veggie beef soup made with leftover roast beef. To the soup, I also added a 4 oz jar of baby carrots and a 4 oz. jar of baby squash. The brand I prefer is the Organic Naturally Preferred baby food. The 4 oz jars are about .69 cents at my Kroger store. When I make my spaghetti sauce, I add a 4 oz. jar of veggie baby food and no one knows the difference. It is amazing how easy it is to add veggies into your homemade dishes! Experiment and have fun! I do this with the Libby's pureed pumpkin (big can) and freeze it into cubes. I bought that instead of the baby food sqaush (a can costs 1.75 year round.) I also discovered it tastes EXCELLENT in macaroni and cheese, just do not go over 1/2-1/3 cup per box. The kids get their vita A and I feel better about it! I love to add it in stew, sauces, and of course the desserts! My son, because of his wife's work schedule has taken over the duty of cooking dinner each evening. He gets home a couple of hours earlier than she. He gave me a wonderful tip when he was here for Mother's Day. When he cooks potatoes to mash, he puts all the seasoning, onions, garlic, etc, in the pan. Instead of pouring off all the flavor and nutrients, he thickens it with instant mashed potatoes. No waste of nutrition there. I add black chia seeds in a lot of foods like scrambled eggs, soups, in sauces and on my stir-frys. 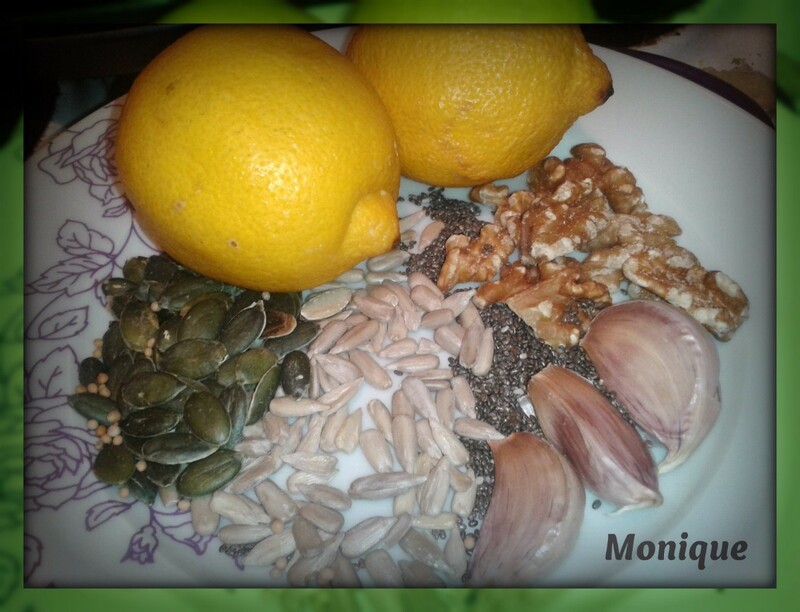 Sunflower and pumpkin seeds are added to my curries, eggs and on top of my vegetables. In wet food I like to add Vitamin B12 yeast flakes. I add walnuts and cashew nuts and sometimes brazil nuts. I love to toast a packet of sesame seeds and keep them in a jar. I sprinkle these on a lot of my foods for the taste and for the added calcium and iron. Sesame seeds are lovely on toast or in sandwiches or on top of toasted sandwiches! Garlic, of course, has potent medicinal benefits. I like to add Turmeric to a lot of foods which is both anti-inflammatory and a powerful antioxidant. Slices of lemon in my green tea makes it a zingy drink bursting with vitamin C.
Or add some ginger, either fresh or powdered. In my decaf coffee, I like to add half a teaspoon of cocoa for the beneficial flavonoids and it's tasty too. I had 3 boys in 4 1/2 years when I was very young. Then at 40, I had another boy. His brothers were 17, 20 and 22 when he was born. I gave them pancakes slathered in butter and syrup at least twice a week. For a little healthier dinner, try mixing 1/4 cup nonfat dry milk into meatloaf before cooking it to sneak some extra calcium into your kids' food. They will never know the difference. Tips for adding extra nutrition to meals. Post your ideas. Use vegetables in soups and in breads for added nutrition. Also try fruits. In addition to wheatgerm in soups, you can add it to spagetti sauce. I've even added it to egg salad so I'm sure it would work in chicken, tuna, and salmon salads. It could be added to salmon croquettes too. I also add Flax Seed Meal to a lot of stuff. That is supposed to be a cholesterol lowering product. I sprinkle it on salads, put in meatloaf, sauces, etc. It doesn't seem to affect the taste and you don't really notice any particular texture change.